Noted for being one of few riverboats to have an octagonal pilothouse, the Phil Sheridan was built for a cost of $80,000 in 1865 at Cincinnati, Ohio. Constructed on a wooden hull that measured 227 by 36-1/2 feet, the boat had four boilers that supplied steam to high-pressure engines (built by C.T. Dumont) having 22-inch cylinders with a 7-foot stroke. The paddlewheels were 28 feet in diameter with bucket planks 12 feet long. The boat drew 32 inches of water when light and had a capacity for 700 tons of freight. The boat was designed for the Wheeling-Cincinnati trade under the command of Capt. Charles Muhleman, with Capt. Amos Davis and Capt. Phil Anshutz, pilots; Chris Young and Charles Knox presided in the clerk’s office and James Hall was the engineer. In this week’s Old Boat Column image, the sidewheeler has just arrived (January 1866) at Wheeling on its maiden trip. The new steamboat’s arrival was particularly noteworthy, inasmuch as it was named for a famous Civil War general. The Sheridan proved to be a very fast boat, a quality which made a steamboat popular. The boat made its trial trip in the Cincinnati harbor on January 20, 1866. On March 7 of that year, Capt. Muhleman sent a telegram to the wharfboat at Wheeling: “SHERIDAN PASSED TELEGRAPH NO. 3 UNDER WAY FAIR AND SQUARE.” The Telegraph No. 3 was a fast boat, having set a record between Louisville and Cincinnati on April 13, 1853. The record stood until the City of Louisville broke it on April 19, 1894. 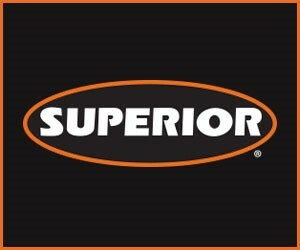 The widespread reports of the Sheridan’s excellent speed performance undoubtedly caused Capt. P.S. Davidson of the Upper Mississippi River to come aboard with an attractive offer for the boat. Capt. Muhleman agreed to sell the vessel upon its return to Cincinnati from one more round trip to Wheeling. It was on this trip that the Sheridan encountered a severe wind storm at Straight Creek, below Dover, Ky; the twin smokestacks were blown down, with other damage to the upper works. The boat immediately returned to Cincinnati for repairs costing $1,500. 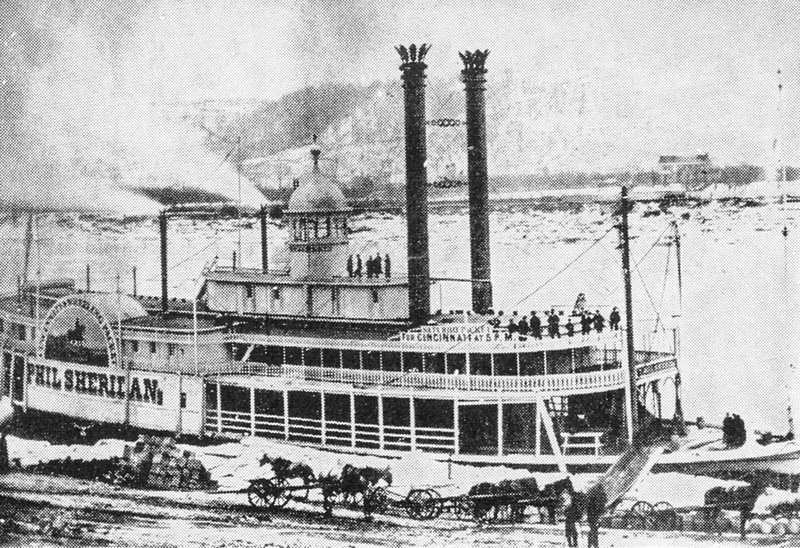 A week later, the vessel was delivered to the Davidson Line, and the steamer Potomac took the Sheridan’s place in the Wheeling and Cincinnati trade. For 10 years, the Phil Sheridan operated on the Upper Mississippi River, maintaining its reputation for speed. During that period, the riverboat made one trip to Pittsburgh, arriving in that city on March 25, 1870, in command of Capt. E.V. Holcombe. The Ohio River pilots were Capt. William Hall and Capt. John Shouse. The trip was booked in Pittsburgh, direct for St. Paul. In 1876, while the Sheridan was hauled out on the La Crosse marine ways for repairs, the cradles gave way and the boat sank. The condition of the vessel was such that salvage was impossible. The steamboat was dismantled and the machinery was placed aboard the Belle of Minnetonka. Later, the engines were shipped to Alaska and used aboard the Yukon River packet Susie.